Cut the subsidies and the wind industry would disappear in a heartbeat. The business model (read ‘colossal government mandated scam’) has all the hallmarks of an enormous Ponzi scheme – the wind industry’s demise is a matter of when, not if. The withdrawal of subsidies across Europe has taken its toll, as the number of new turbines erected plummets. Twelve countries in the European Union (EU) failed to install “a single wind turbine” last year. Saddled with debt and peddling the world’s worst wind turbines hasn’t helped German turbine maker Senvion, either. Its parent, the Indian outfit Suzlon suffered India’s biggest convertible-bond default in 2012 – was seriously struggling then and isn’t in any better shape now – even a name change to “Senvion” didn’t help. In 2015, a debt-ridden Suzlon and struggling Senvion parted company, with a US firm, Centerbridge Partners throwing €1 billion at the wreckage in the hope some of it could be salvaged. Four years on and it’s clear that Senvion was terminal. Here’s a couple of pieces from Germany on only the latest renewable energy outfit to face total collapse. And the, oh so tragic ‘disaster’, has a run of serious knock-on consequences for wind farms and RE rent seekers here in Australia, as we’ll detail below. Shares in Senvion were in free fall Wednesday after the embattled German wind turbine maker announced it was entering a process called self-administration in a last-ditch turnaround attempt. According to financial sources cited by Reuters, Senvion needs at least 100 million euros ($112 million) to remain afloat in the short term. 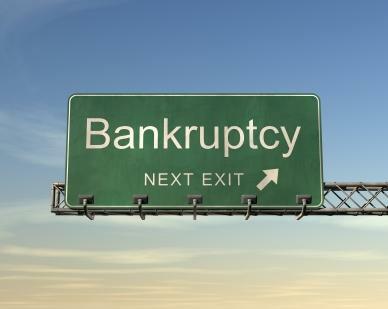 Germany’s self-administration law encourages financially stricken companies to declare insolvency early on, and thus increase the chances of a recovery, by allowing leadership teams to retain control of the business with oversight from a supervisor acting on behalf of creditors. Senvion said it is initiating self-administration proceedings at both its main business and its German trading arm. 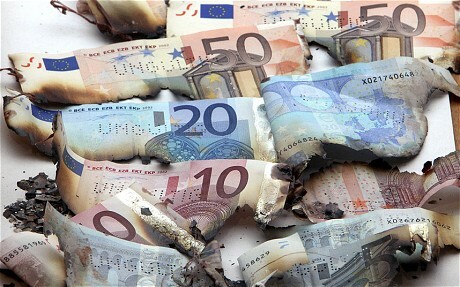 Shares tanked on the news, dropping 49 percent in 24 hours to less than €0.50 a share ($0.56). Senvion’s share price has fallen more than 95 percent in the last 12 months. The company said it had appointed two insolvency administration advisers with “significant experience in successfully delivering self-administered restructuring programs” to work alongside the management team. Senvion also said management has the support of creditors including major shareholder Centerbridge, the U.S.-based private-equity firm, which has pumped €82 million ($92 million) into the turbine business over the last nine months. The company said it would continue with production, services, maintenance and customer support while refocusing operations and initiatives on particular markets, streamlining its product portfolio and looking for efficiency gains. Aris Karcanias, co-lead of FTI Consulting’s Global Clean Energy Practice, said that while some of the issues facing the turbine maker were company-specific, it was also having to adapt to a “new normal” for wind’s original equipment manufacturers. Industry competition has intensified over the past five years through the introduction of auctions, the consolidation of large manufacturers, the expansion of Chinese players internationally and challenges from solar and other generation technologies, he said. FRANKFURT (Reuters) – A German court on Tuesday approved an application for insolvency from wind turbine manufacturer Senvion, although the company said it was also continuing to look at new funding options and various potential investors had shown interest. Two financial sources said hedge funds Anchorage and Davidson Kempner were prepared to put up the 100 million euros in loans that CEO Yves Rannou – who took the helm in January – needs to continue restructuring and clear the backlog of orders that has recently cost the company revenues and profit. The sources said majority shareholder Centerbridge was prepared to accept that but the banks – notably Deutsche Bank and BayernLB – would still need to agree. The banks have lent Senvion a total of 950 million euros. Now to the Australian fallout, with this lament from the team over at ruin-economy. Lincoln Gap: Senvion collapse brings project to a halt. 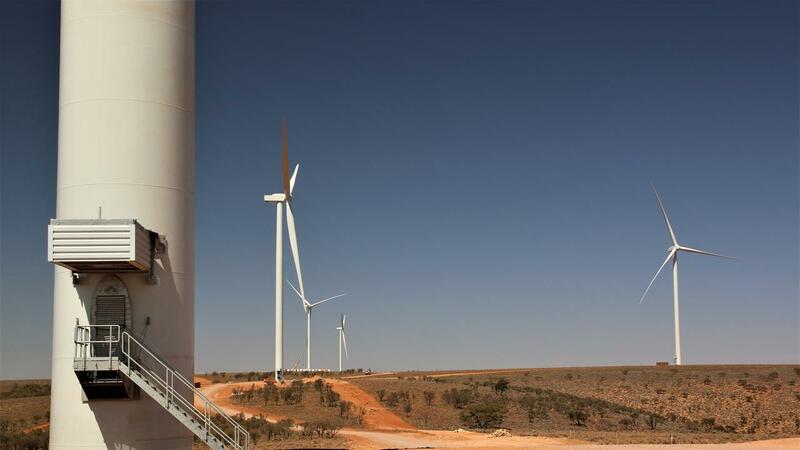 Lincoln Gap (just to the west of Port Augusta in SA) is touted as the latest thing in wind farms, with claims that it will have a bigger-than-Ben-Hur battery to account for the weather – ie the fact they can only ever deliver power around 30% of the time and at crazy, random intervals. 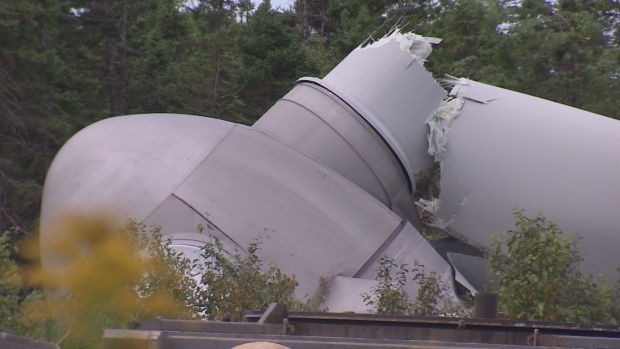 The project was meant to comprise 59 turbines. However, at last count there are only about 8 or 10 that look anything like complete. With Senvion’s sudden and monumental collapse the chances of completing the balance of the project now, look pretty thin. Adding to our sense of delicious schadenfreude is the fact that the one of the key financial backers of Nexif (the firm that owns the part finished project) is the one and only Alex Turnbull. 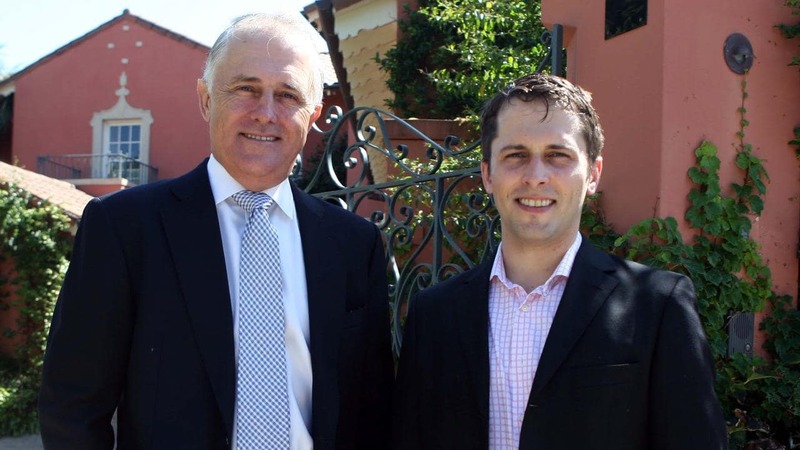 Alex is the son of Malcolm, the Liberal PM dumped by his party for his renewable energy obsession. As to the Singapore based Nexif and its stalled Lincoln Gap project, STT understands that Turnbull & Son went to great lengths to secure a power purchase agreement with Snowy Hydro to finance the project, along with a pile of cash from the Federal government’s Clean Energy Finance Corporation. Another case of it’s not what you know, it’s who you know. Well, it seems that this is one that Daddy can’t fix in a hurry. Oh dear, how sad, never mind. Has Alex Turnbull’s incredible luck just run out?!? This is what needs to happen in Ontario. Subsidizing these projects for their full 20 year contracts is unthinkable.This new government must stop the subsidies now. I love to hear wonderful news like this! It gives one hope for a better future, without the wind fraud! When our socialist government creates these type of projects financed via the public banking system that they control, the leadership skims profits from the companies and then the banks are saddled with the default, e.g., the public. When you have quantitative easing it even easier to implement “designed to fail” companies for bilking the nation’s socialists. I read about Lincoln Gap the other day and was happy but so surprised as it was only last November when we had to pull over going north along the Lincoln Highway to allow trucks with turbines on board to pass us by – that was after we had seen others as we went south not too long before. Now we know why Turnbull senior pushed to force Snowy Hydro on this country. Eventually what goes around comes around, and for Turnbull Junior it seems he is becoming a regular on the roundabout of financial failures. Senvion turbines are nearing completion in the Haute Vienne France. A project of six 200m tall onshore turbines. 5 are erected, the 6th looking likely for completion next week. As a near neighbour I’m very interested in your claim that they are the worst wind turbines. This naturally concerns us living nearby. On what basis? Production, reliability, accident/breakdown rate, noise or infra sound….your feedback would be greatly appreciated to understand what these new industrial giants in our neighbourhood are all about. All of the above. Our view is directed at the Suzlon s88 in particular. Hundreds have been built in Australia. Any opinion on these huge turbines please? Industrial Wind energy, not ‘free’, not ‘sustainable’, and definitely not saving the planet. What’s not to like? Senvions imminent demise also rings the death knell for it’s infamous Ceres project of up to 200 turbines on SA’s Yorke Peninsula. A project that was in our midst for over 10 years where the proponents divided families and communities , played neighbor off against neighbor. If there was one individual amongst many that fought this project tenaciously it was the late Martin Hayles. A man who inspired and alerted us all to the stupidity and fraudulent nature of the wind industry. Son, I can only echo your sentiments, however I do wish to expand on the ‘stupidity’ of this industry. The windustry is indeed stupid if it thinks that people impacted by their lies and deceit both pre and post construction will not hold them to account for their abuse of human rights, something Martin Hayles stood up for resolutely. However this most malevolent of multinational movements is not ignorant of their deception. Like corporates’ asbestos, thalidomide, tobacco etc they know too well the severe adverse impacts on human health that the technology they peddle can cause. They have studied the playbook. For that they cannot claim ignorance, or stupidity, but rather a gold medal for greed. For in the arts of corporate deception they are pre-eminently worlds best practice. Let us hope the pedestals they cling to around the world are starting to crumble under the weight of their misinformation and malice. I wonder if Heartburn Wind at Daylesford are having palpitations? I was having a bad day so your news that our manipulate big mouth, , alex turnbull wouldn’t be sleeping at all well has brought me smiles. .